Around the holidays I became obsessed with making hair bows. Even though I don't have daughters, my sister never lets my 10 month old niece leave the house without a hair bow in her hair. 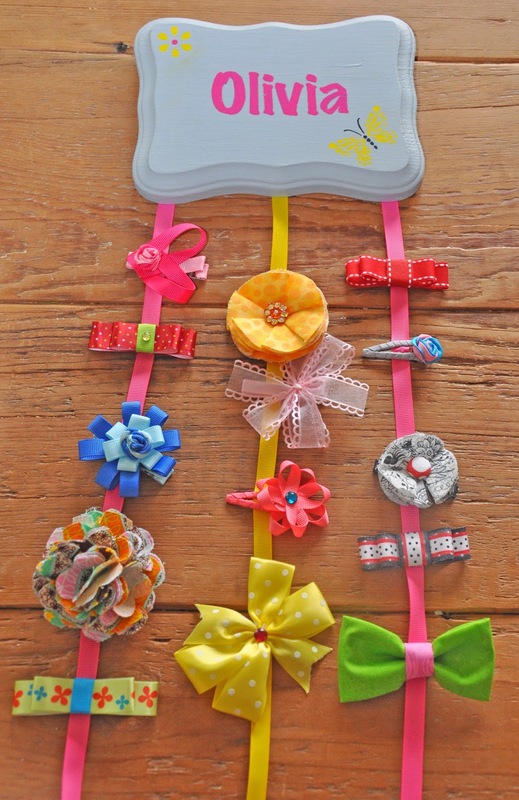 For months, she rotated between two barrettes and I was getting sick of seeing the same ones. I decided for Christmas I was going to make my little niece a bunch of hairbows as well as a hairbow holder to go with them. I got so excited about this idea that I thought I would make the same thing for my friend's new baby girl. I found a piece of unfinished wood at Michael's for only a $1! I painted one pink and one grey. I stenciled the names on the wood similar to what I did for this sign and carefully painted the letters. I used my Martha Stewart stencils to decorate, added some hardware so they are able to hang it and glued three long pieces of ribbon on each one. They came out great and my sister loved the gift! As soon as I decided I was going to make hair bows I started searching tutorials on Pinterest. 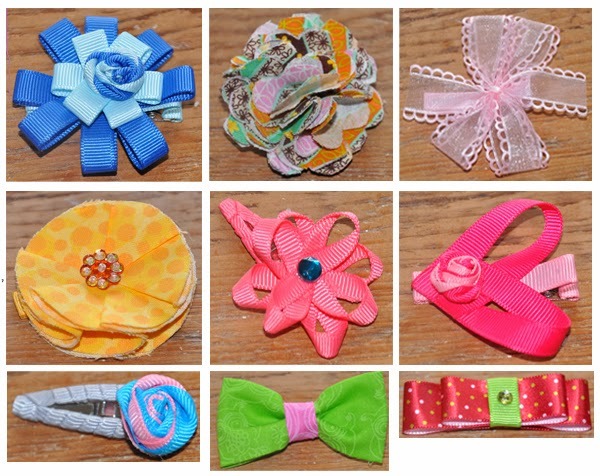 Below is a close up of some of the bows I made along with the tutorials. how to make it so I had to figure it out on my own. I will do my own tutorial to let everyone know how to do it.